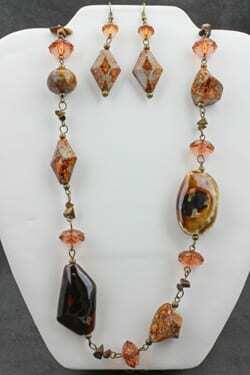 “Tuscan Beauty” Necklace and Earring Set. 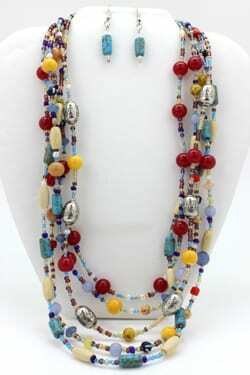 Necklace measures 21-23″. 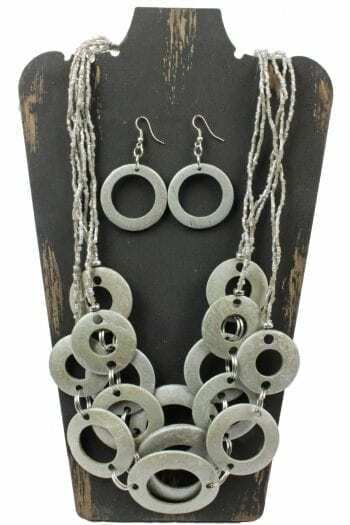 Earrings are on hypoallergenic ear wires. 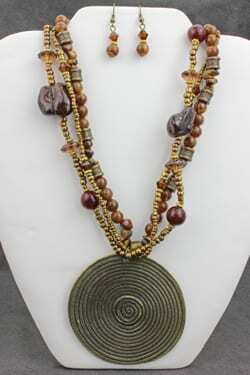 Trisha Waldron Designs are crafted using natural and manmade materials.